Using Google Adsense? Here's How You Can Do Better! 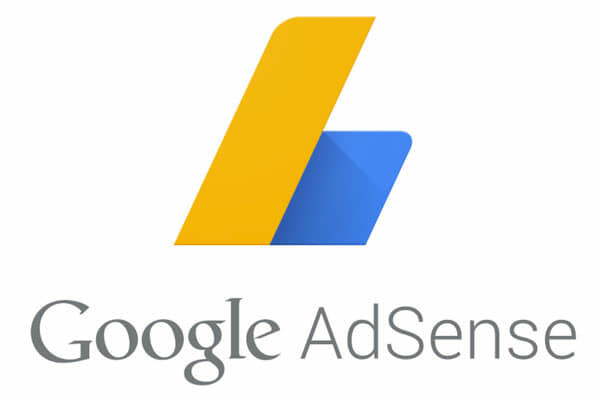 Should You Use Google Adsense? Monetizing your website. Using the Internet to make money. Unless your website is a hobby–nothing wrong with that by the way–it’s why you’re playing this game, right? Look–using Google Adsense is one of the easiest ways to make money with a website. Sign up and get approved, create your ads and paste the code you’re given into your site. In my opinion it’s not the best way to make money online, for most websites. And I don’t say this because I ‘ve had any problems making money with Adsense, or the program itself. In fact, for years I was using Adsense on about 100 niche and authority websites I’d created or bought starting in 2008. They made me enough to live here in Bali, Indonesia, and 90% of my income at the time was from Adsense. Not only that, you might notice that I’m using Adsense on this very website! When you put Adsense on your site you’re essentially saying you have no better idea for that valuable space than ads contexual advertising will send you. And as good as Google is at serving ads related to the content of the page, the usage habits of the person looking at the content and the browser they’re using, etc., the ad inventory Google has available to serve your readers is limited. More to the point, you can’t really expect these ads to convert as well as some other things you could do with the same space. Say your passion was antique furniture, and you started a site and created quality content on where to buy it, how much to pay for antiques, how to care for them, etc. This quality content would attract free, targeted visitors from Google and other search engines to your site. To create a more lasting connection to otherwise casual readers you’d start an email list, where you could offer premium tips, or just connect more directly with your readership. Over time it would make sense to create products in the form of books or courses on say, refinishing furniture, how to spot fake antiques, etc. You’d market these products to your email list subscribers. Can you see how effective and lucrative it can be to show your own offers to people who know you and trust your opinions on your topic? Especially compared to using Google Adsense. If you went into building this site with this sort of plan, you’d make far, far more than contextual ads. A site making a coupe hundred dollars per month can make thousands if it is properly monetized. I’ve seen it. And know this: you can go much further with this kind of monetization custom-made for your readers than I can outline in a few sentences, as you get to know them better. Of course, you could already own a site that you created or purchased without having much of a plan in place. That’s why I have Adsense on this site, Digital Media Minute. Is this site well-suited as a tool to build an email list and for selling digital or physical products in the tech niche? Of course! In closing, I’ll mention one monetization model for which Adsense is appropriate. No doubt there are others, but this is interesting and chances are you see Adsense on this kind of site every single day. Viral websites succeed based on the sheer number of posts they can push out each day, and the number of views (and Adsense clicks) their content gets. Resources are put toward getting as much distribution and reach as possible using social media, etc. Matching a piece of content with an offer that might be appropriate for readers of the article would have a cost associated with it, and you do see affiliate links in content on these sites. However, Adsense ads normally reside in the template or code of the site and don’t have to be manually inserted into maybe dozens of posts per day, so they’re a quick solution here that makes sense. My point isn’t to dissuade you from using Adsense at all. I’m just encouraging you to have a flexible monetization plan in place if you’re just starting a site, and always be thinking about how to better monetize as you get going. If you have any comments or questions please drop me a line below.